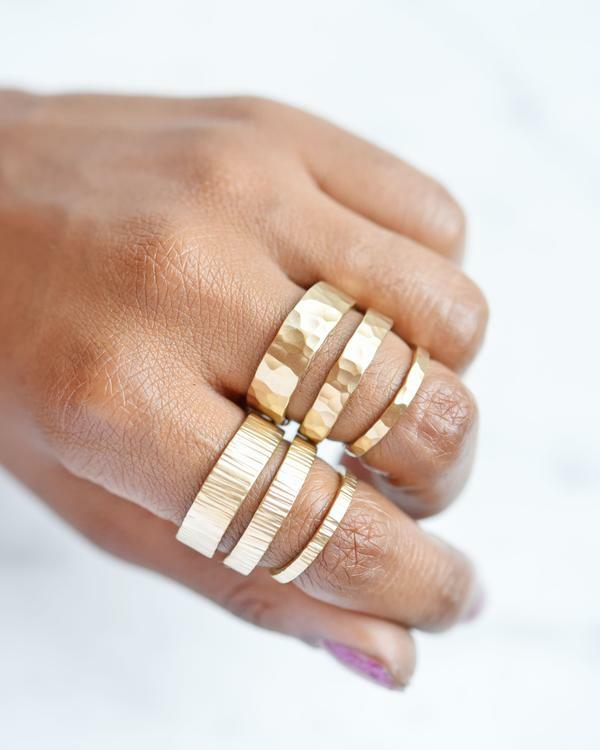 Valerie Madison Jewelry is Next Level Beautiful — Catalyst Wedding Co.
Valerie Madison is a black woman jeweler based in Seattle, Washington, and her jewelry is beyond gorgeous. 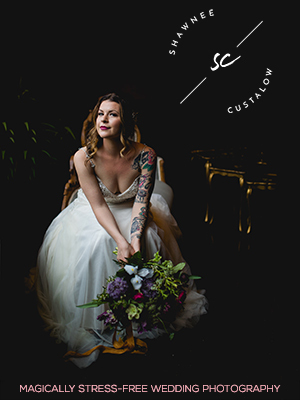 Valerie has been a member of the Catalyst Vendor Community for a while, but it was only recently that she rebranded her business from LilyEmme Jewelry to her own name. 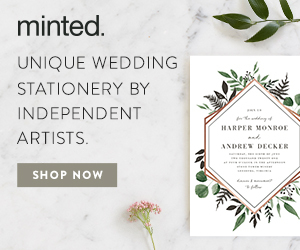 We love a good rebrand, and we love them even more when it means that customers can build a stronger connection with the artists behind the brand. 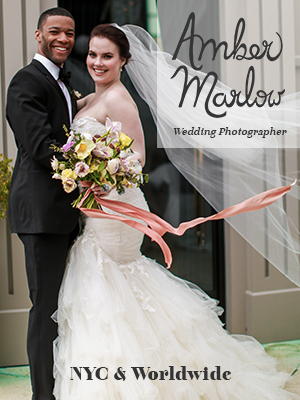 We are thrilled that Valerie's rebrand puts her and her talents more at the center of her brand. She is focused on creating high quality and modern jewelry that is both ethical and sustainable. Looking for the perfect engagement ring or wedding band? 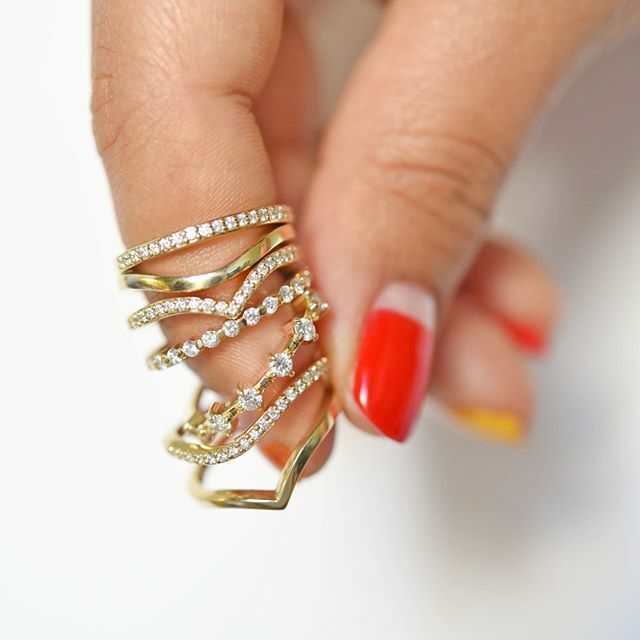 Here are our 8 favorite rings by Valerie Madison Jewelry. We love this unique spin on the traditional rose cut diamond ring. The peppered inclusions in the diamond give the ring a great antique vibe while also being sleek and modern. Not every couple chooses to go with a traditional engagement ring, so we love to see rings that work as wedding bands but also have a little bling. We also love the symbolism of the mobius infinity turn! 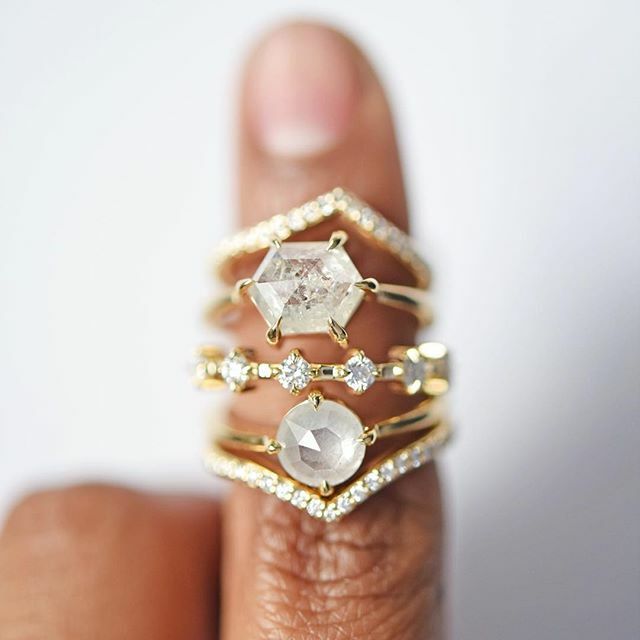 We are so over the idea that engagement rings have to be diamonds and only diamonds and so we love Valerie's series of kiss rings that pair together one tiny diamond and your birthstone. 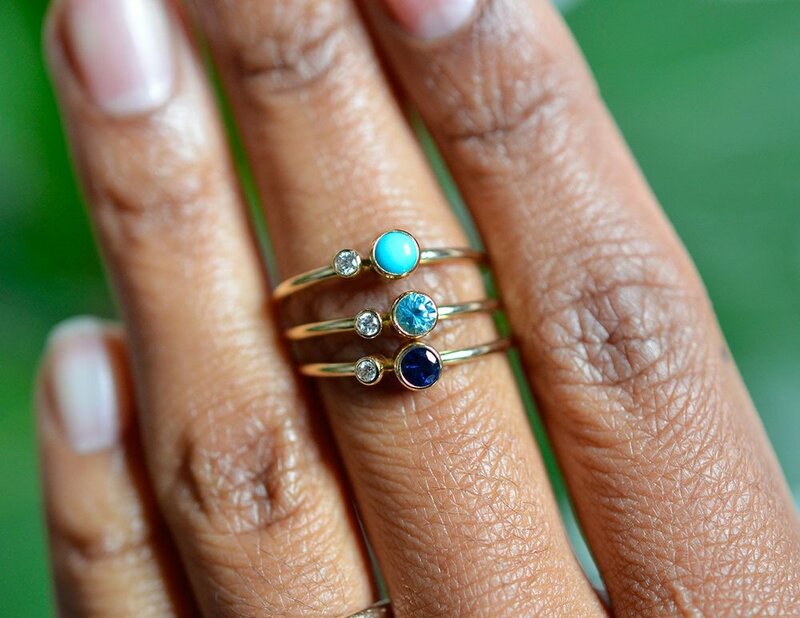 Not only are they delicate and gorgeous, but they add color to your finger and create another level of personalization to your ring. The kiss rings are available in Garnet (January), Amethyst (February), Aquamarine (March), Diamond (April), Emerald (May), Alexandrite (June), Ruby (July), Peridot (August), Ceylon Blue Sapphire (September), Dark Blue Sapphire (September), Pink Tourmaline (October), Aussie Opal (October), Opal (October), Green Tourmaline (October), Topaz (November), Turquoise (December), Tanzanite (December), and Blue Zircon (December). This halo engagement ring features a perfectly speckled "salt and pepper" rose cut diamond surrounded by bright white diamonds in 14K rose gold. The halo is beautifully proportioned and the center diamond glows silver from within. The vintage style of this ring is stunning. The center stone is a 5mm rose cut diamond, flanked by two trios of 2mm diamonds. The gold prong setting mixed with the shimmering of 7 gorgeous diamonds makes for a ring you cannot look away from. The dua diamond band is an engagement ring unlike anything we've seen before. Who ever said you needed to have a single stone at the center of your ring? Or that your ring needed to be a perfect circle. 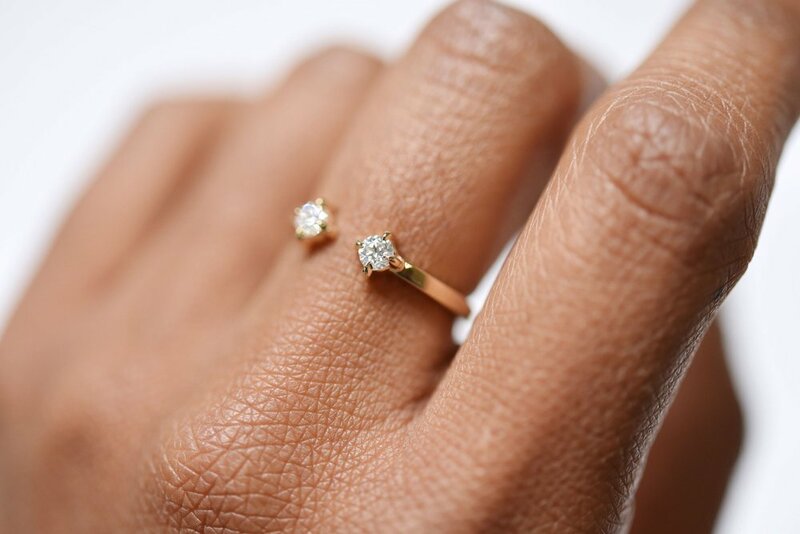 We love the look of this ring, and the symbolism of two diamonds pointing to each other, just as you and your partner will be looking to each other for love for years to come. Wedding bands don't need to be basic. Valerie crafts textured wedding bands that are either hammered or made to mimic birch trees. They are perfect for all, available in sizes 6-12. The bands also vary in width, including 2mm, 4mm, 6mm, and 7mm options. We have so much love for ring stacks, and love how the Nova and Diamond Nova rings can sandwich a single stone setting engagement ring. For anyone who wants to add sparkle to their wedding band, the Diamond Nova is an obvious choice!